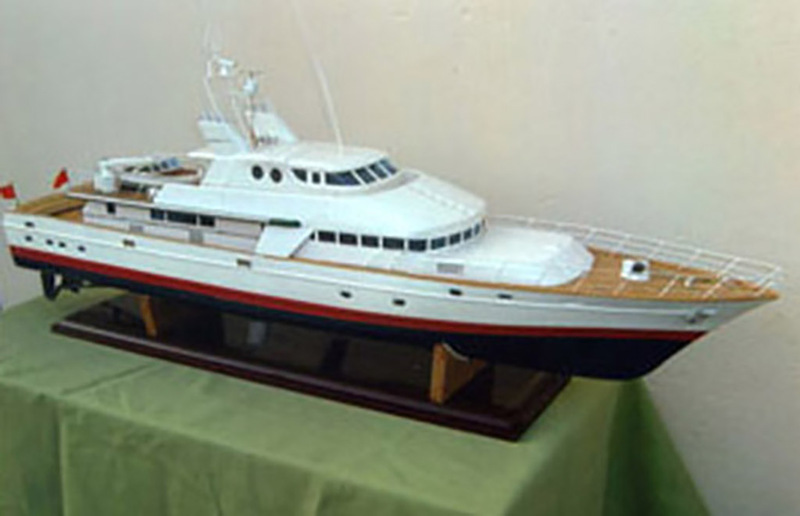 The photograph shows a 1.40 scale model of Freedom. 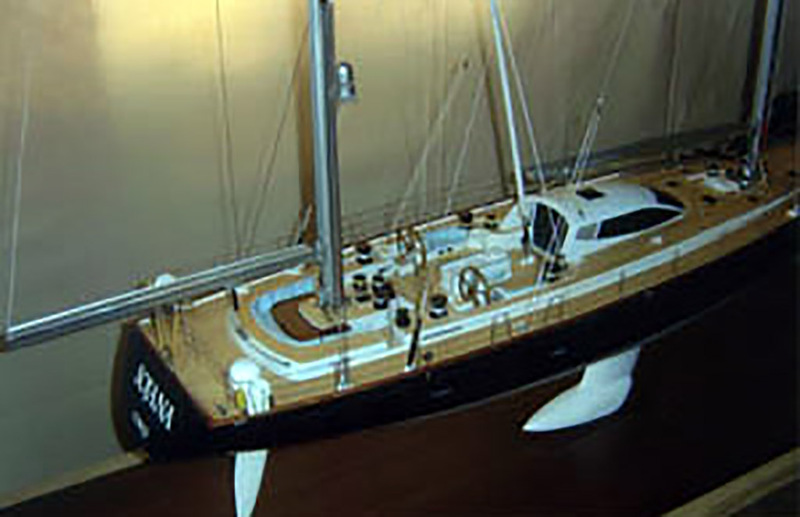 124ft L.O.A, designed by Sparkman and Stephens. 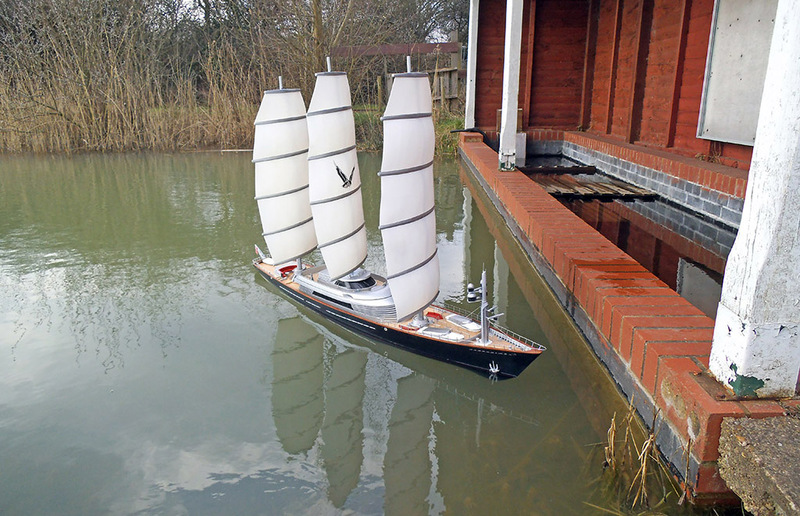 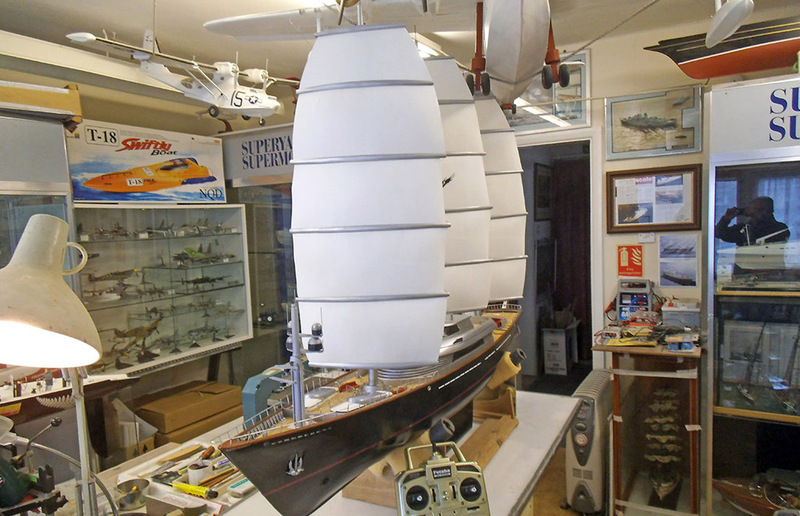 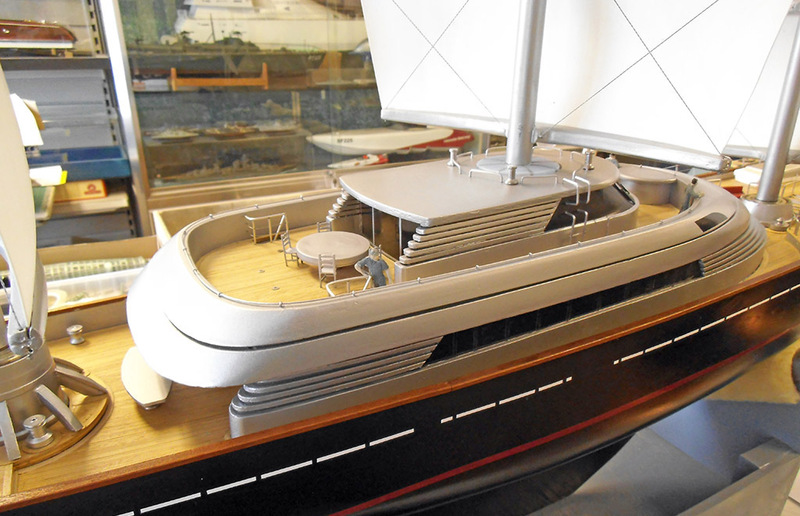 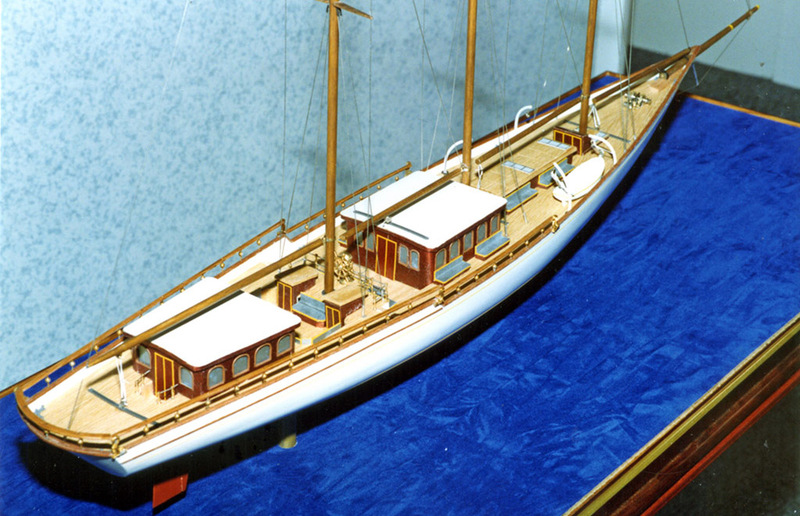 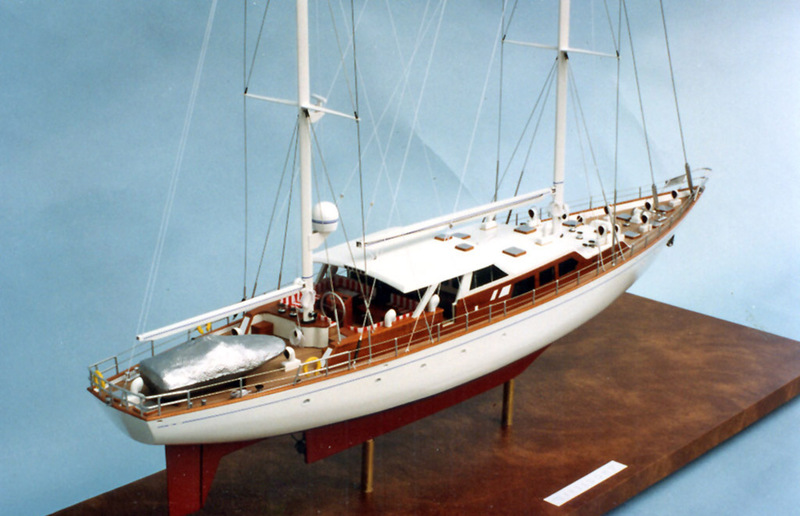 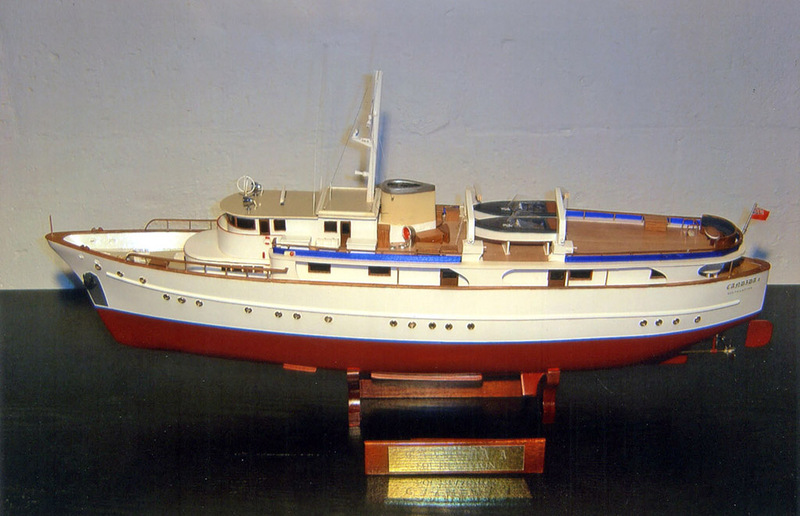 1.32 scale model of yacht Katya, designed by Ted Hood Design Group. 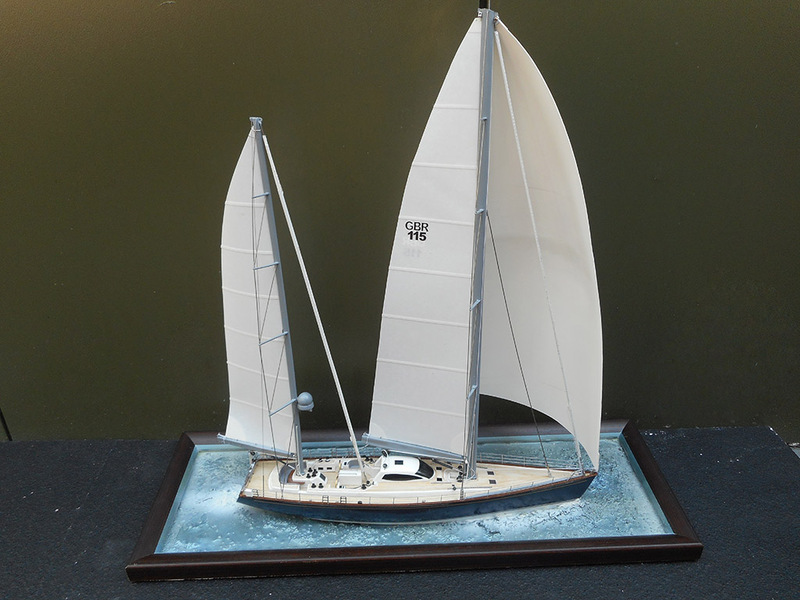 1.75 scale model of a 56m three masted staysail schooner designed by Ray Harvey. 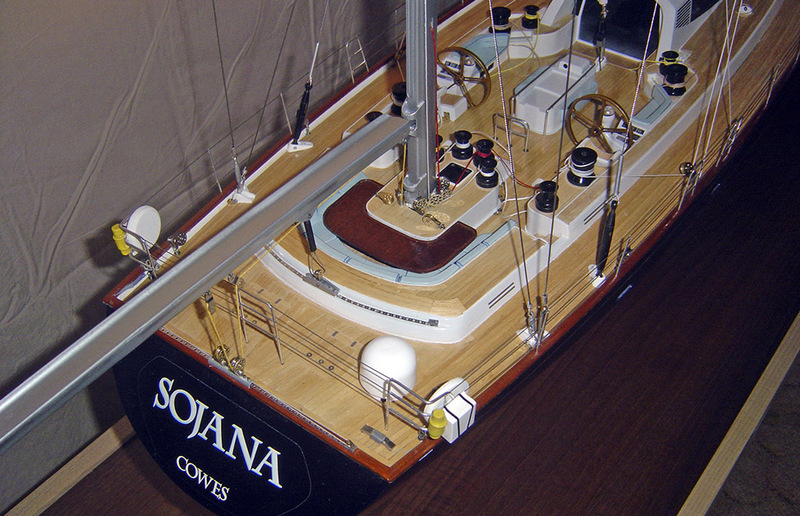 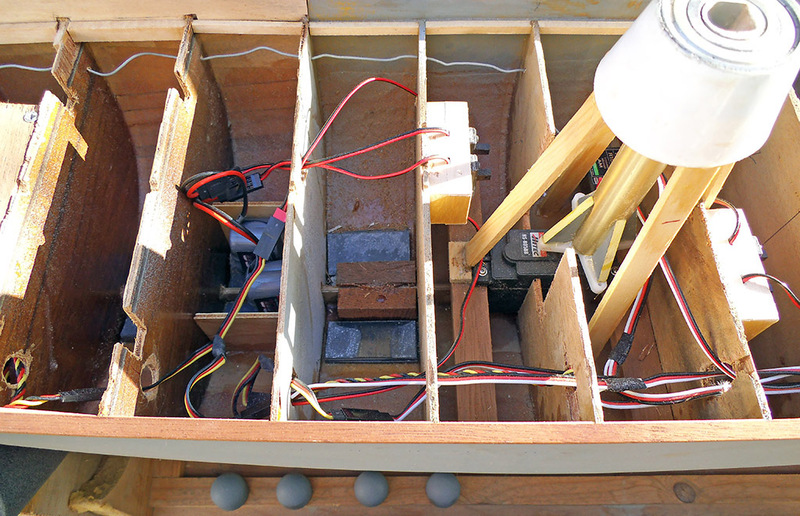 Sojana, a Bruce Farr 115 super cruiser 1.25 scale ketch rig. 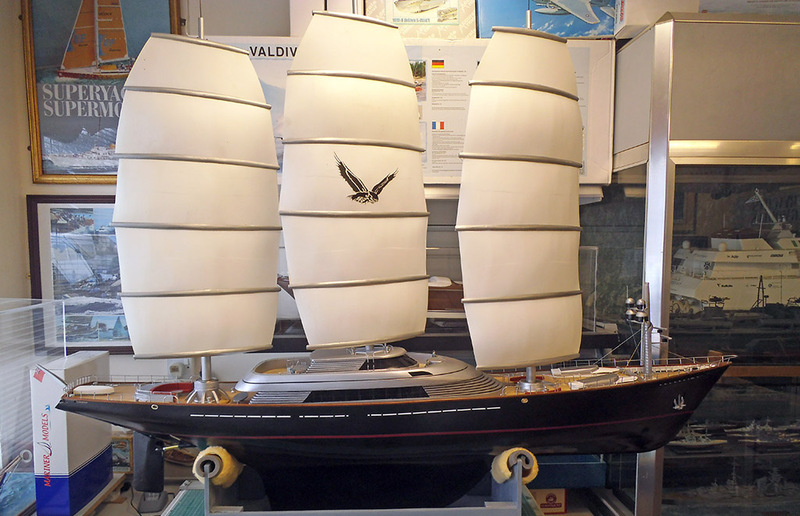 Maltese Falcon; Model is 150cms L.O.A, nearly 5ft. 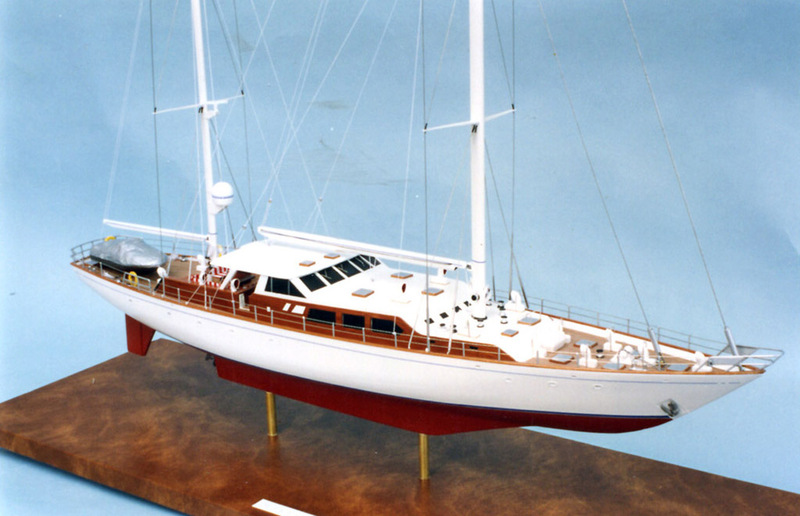 It is powered by two 540 Lightspeed sport motors, electrified speed controller, three Hitec HS 805 BB servo’s controlling masts and rudders, all powered by 11.1 volt lithium polymer batteries. 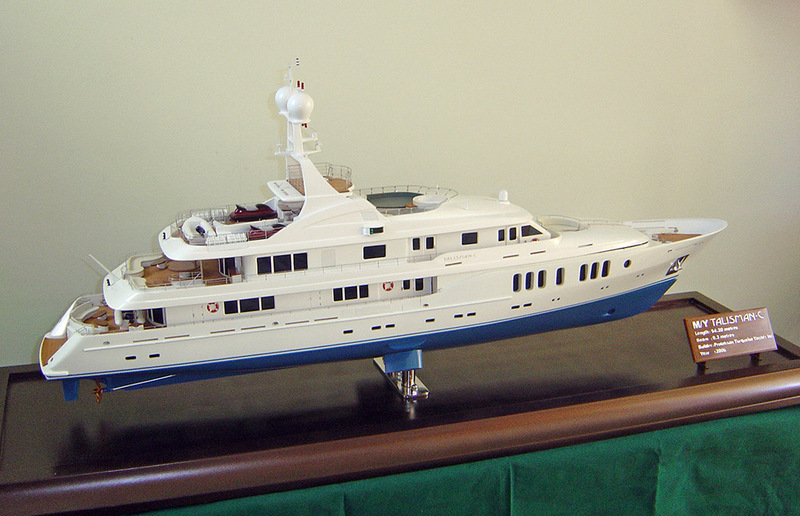 Is this the only working scale model of this yacht in the world? 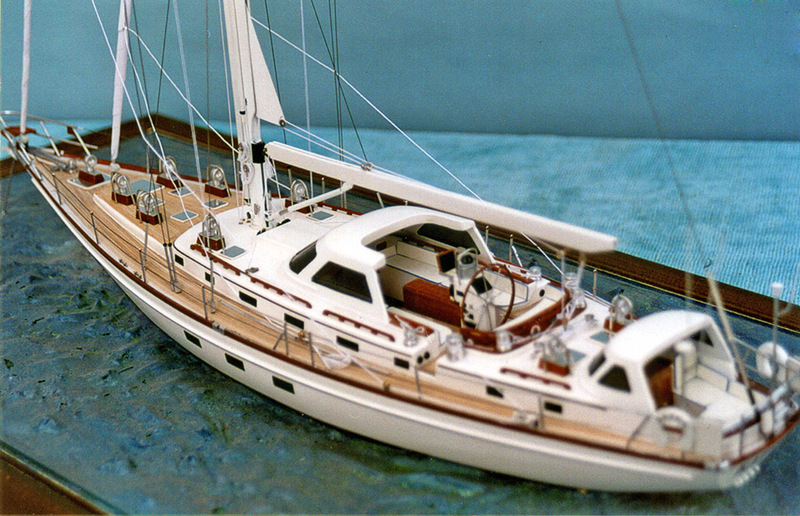 Classic yacht built 1930 1.50 scale model. 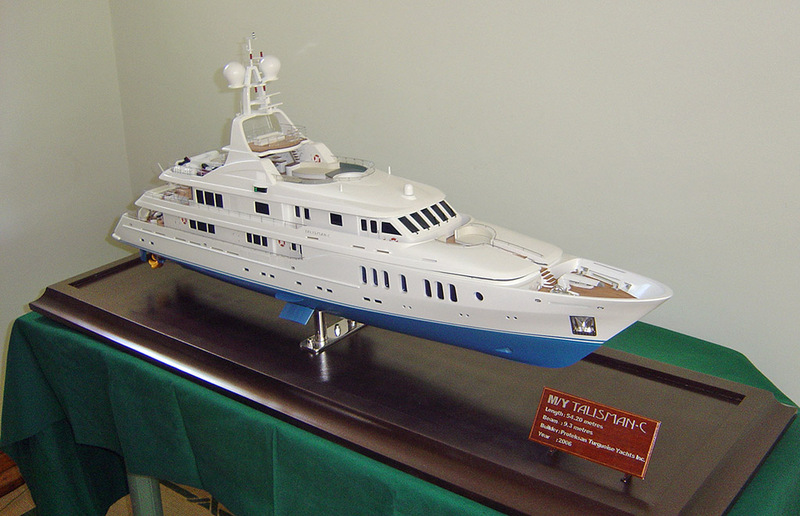 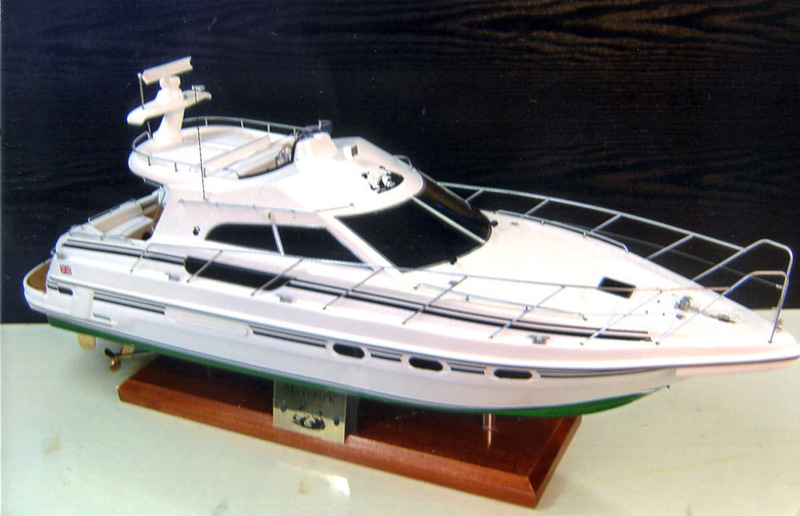 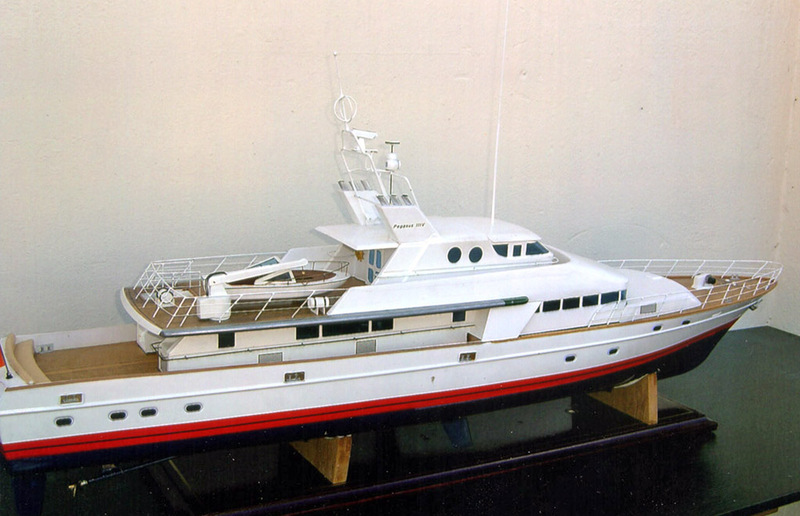 1.20 scale model of Maverick, designed and built by Sealine International Ltd.
Talisman C D, designed by Dubois Naval Architects 1.50 scale. 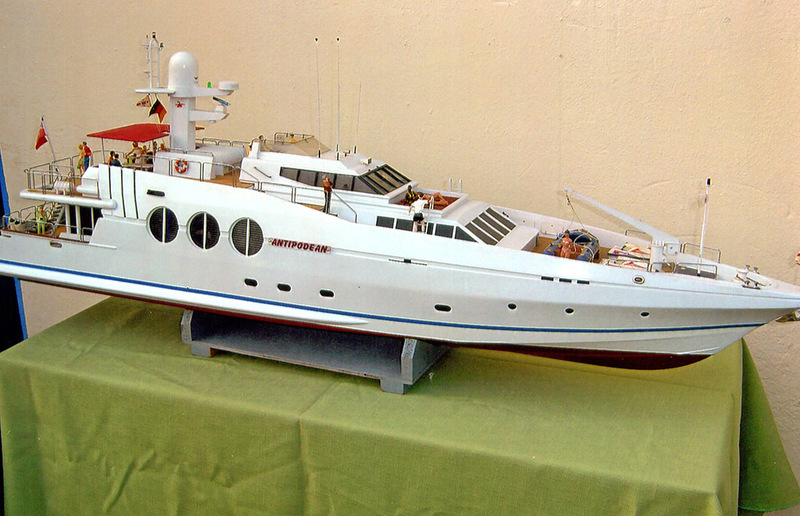 Built by Kroeger-Werft of Rendsburg. 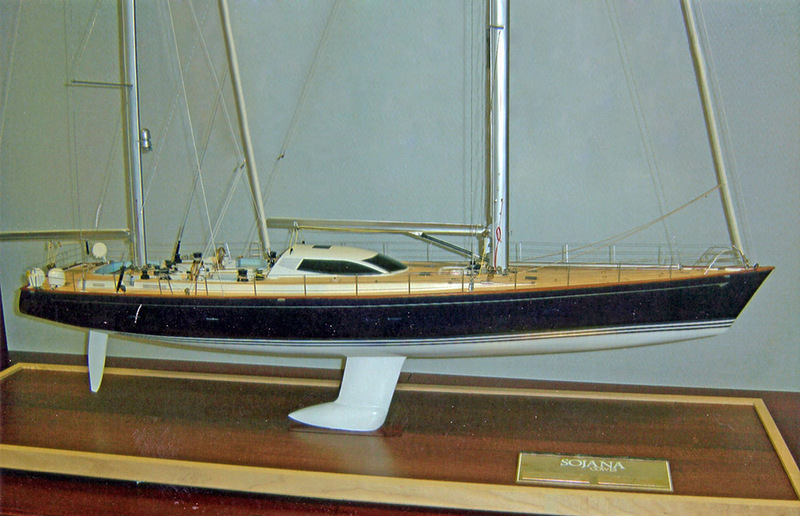 Model 1215mm L.O.A. 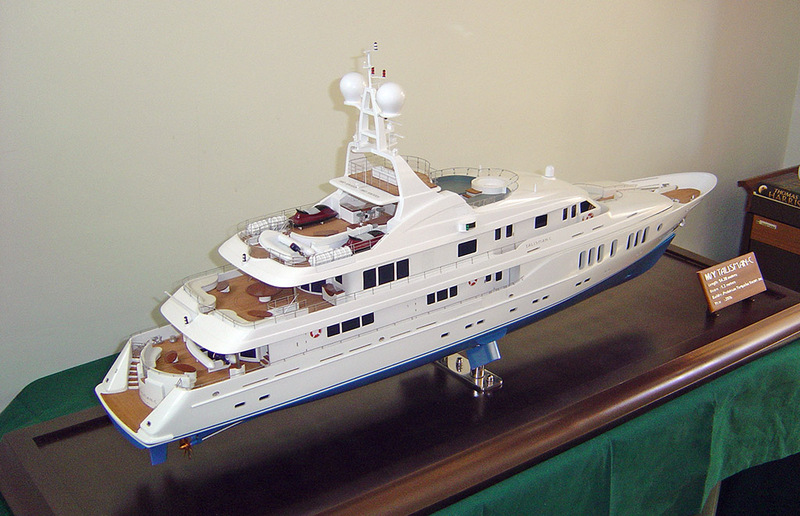 Built by Oceanfast to a Jon Bannenberg design. 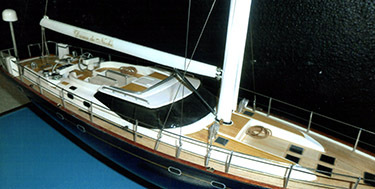 Model 1223mm L.O.A.